MACE retailers from across Ireland attended the awards ceremony in Kilkenny in March this year. It’s been a busy year for MACE with new stores opening in communities around the country. MACE Raheny opened its doors earlier this year under the watchful eye of store owner Ronan Morris. Talty’s MACE, Lissycasey, Co. Clare has been recognised as one of Ireland’s premier fresh food retailers at the annual Checkout Best in Fresh Awards 2018. Join us this Friday 14th September in MACE Loughnafulla, Thurles from 2pm – 4pm. Walter and his team would love if you can join us for an afternoon of family fun and entertainment to celebrate the launch of the store. 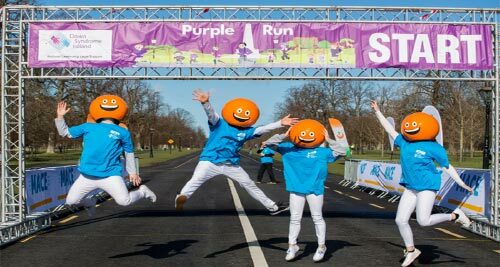 As charity partner to Down Syndrome Ireland, MACE was fully on board to support their annual Purple Run in Phoenix Park on the 24th March 2018. MACE are proudly supporting the HB Fundays campaign for 2018. Together with HB Hazelbrook Farm, we are inviting retailers, families and businesses nationwide to host their very own HB funday.